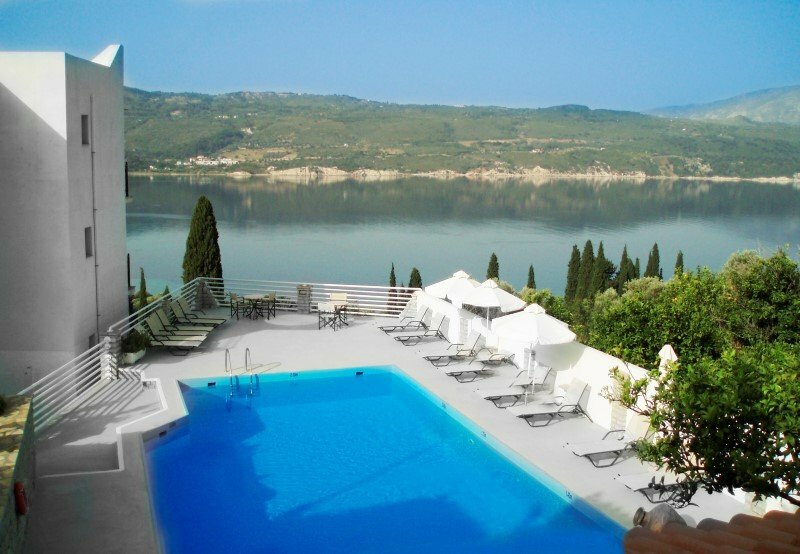 Our refreshing swimming pool is twelve meters long with comfortable sunbeds and white parasols offering calmness and relaxation. 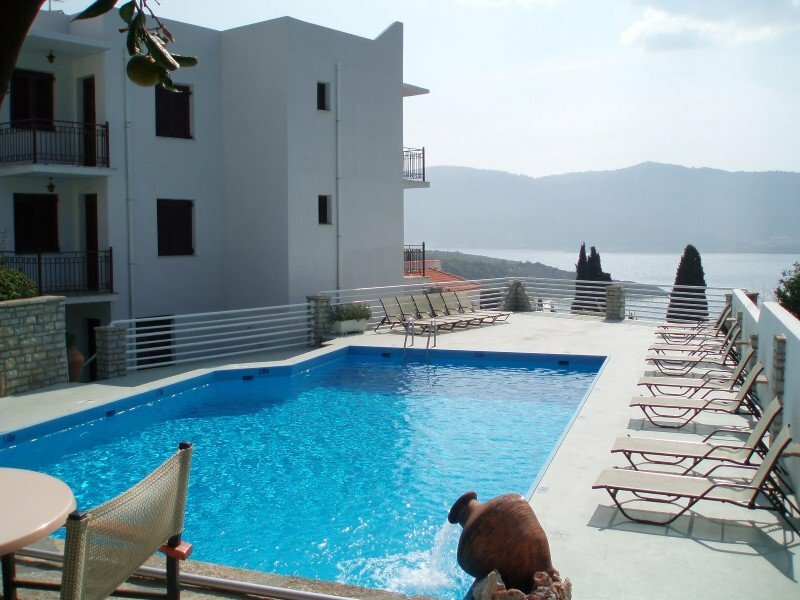 Near the pool is the snack bar and the breakfast area. 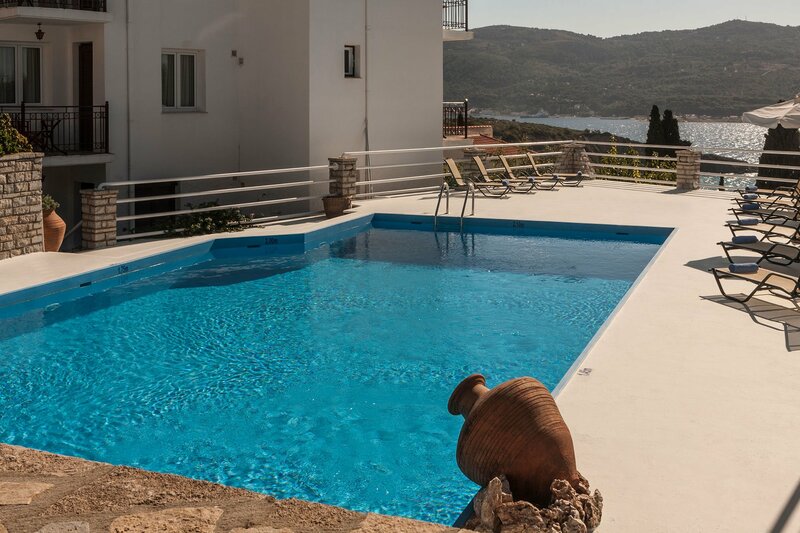 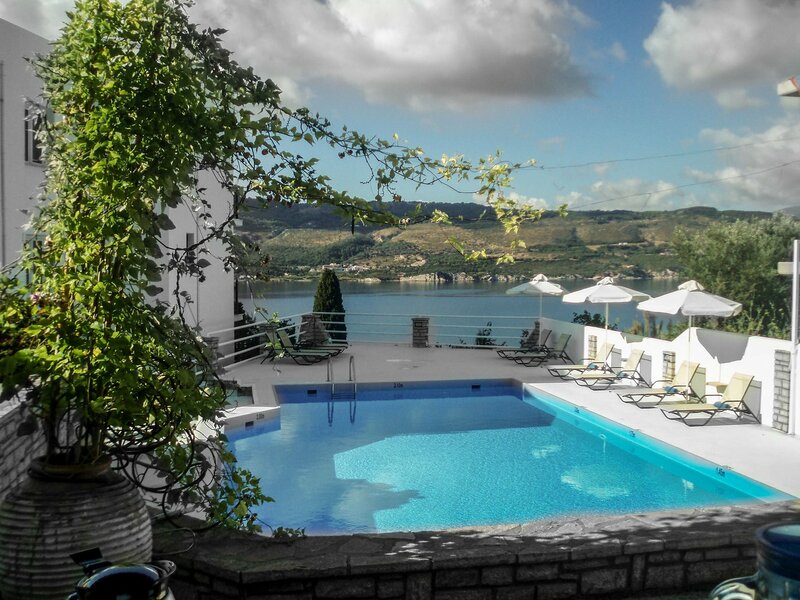 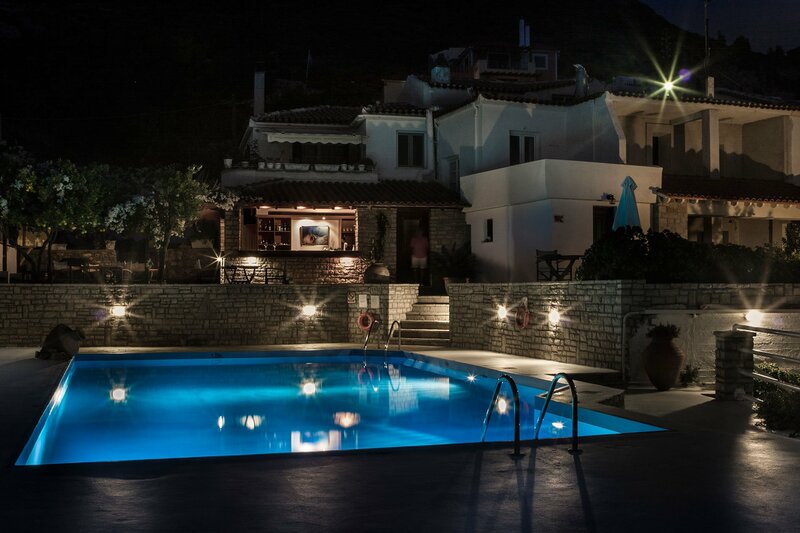 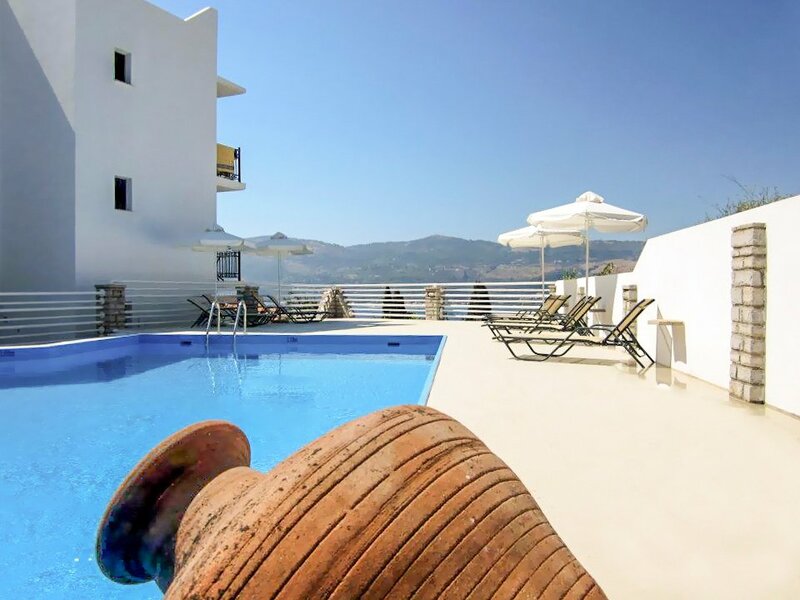 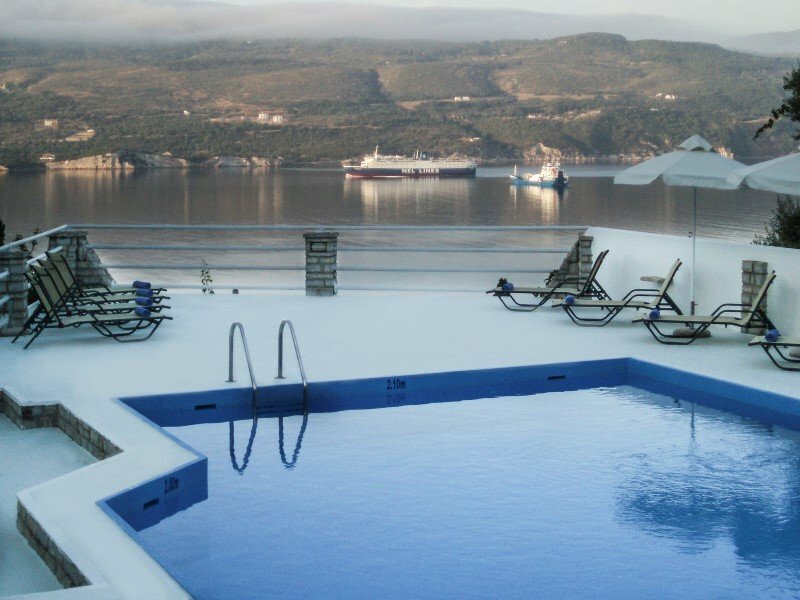 In the pool you can enjoy the view of the gulf of Samos, tan, or read a book from our library. 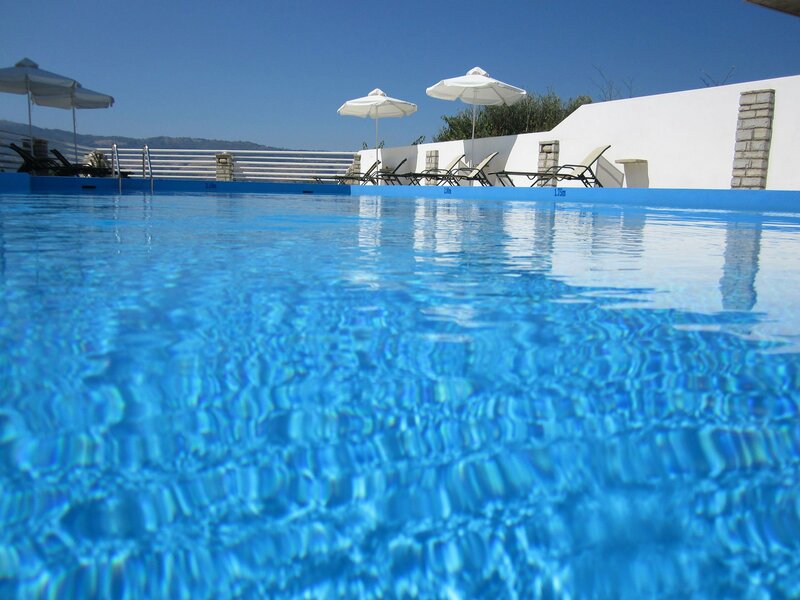 The quality of the water is checked on a daily basis.